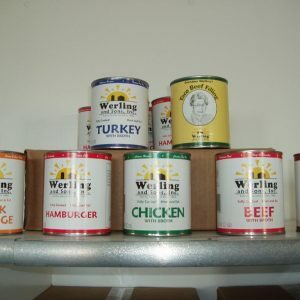 Choose 12 of the following in any combination: Beef, Pork, Chicken, Turkey, Hamburger, Seasoned BBQ Pork, Goetta or Taco Beef Filling. 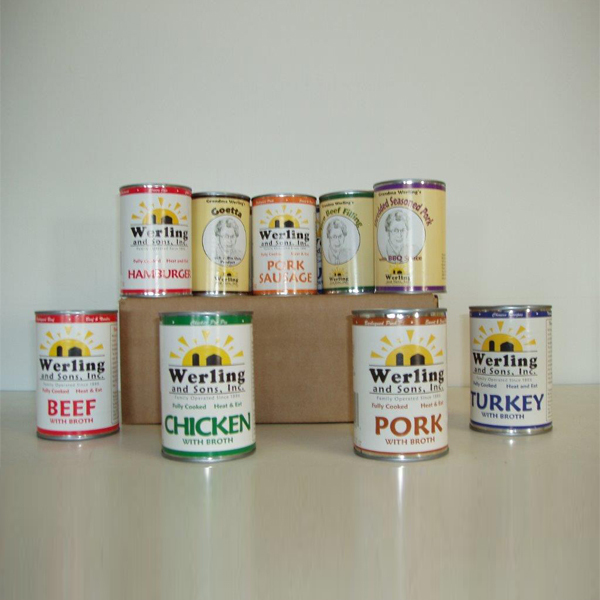 Our Home Style Canned Meat 12 pack provides you with the variety you want in the family size you need. 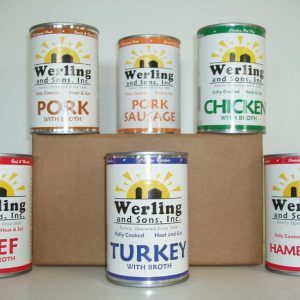 This 12 can variety pack is a half-case of Werling’s quality canned meats. We ensure all your 28 oz. 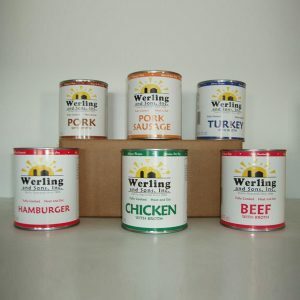 canned meats are low in fat content, preservative-free, and guarantee a long non-refrigerated shelf life.